It could have started like this: water stretching far beyond the horizon, nothing but water, and all of a sudden HE divides the water from the land, and land arises from the water. Nothing but stone and sand, simply waiting for life. And this life comes into being as if by a miracle. Mosses and plants start the colonization. Somewhere in a far-off distance, millions of years later, insects will populate this land, millions of more years later, birds and mammals and near the end, even our own kind. We look at the beginning in amazement. 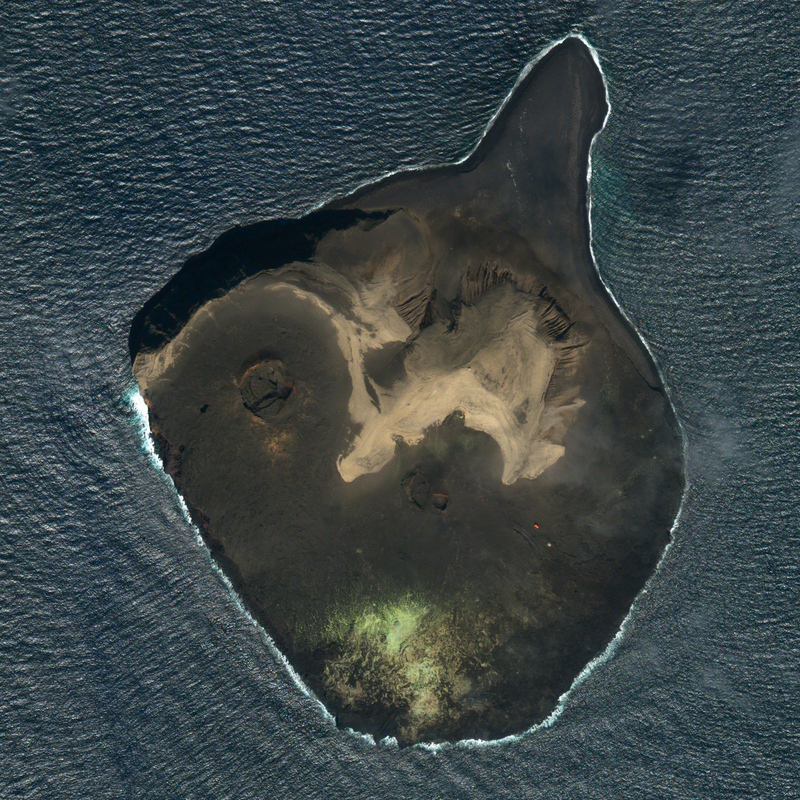 But Surtsey was a beginning in the middle of a created world. As early as a few days after its emergence, colonization already started. Birds, seeds and then even the first mammal, a seal. It looks so much like the new worlds created by us, humans! We- even we – are creators, builders of worlds, of an ordered nature: we call this agricultural development, and we call the areas where we people live, urban development. We also do this quite fast. We do not have to wait millions of years; we practically do this in the blink of an eye: new cities, new districts. 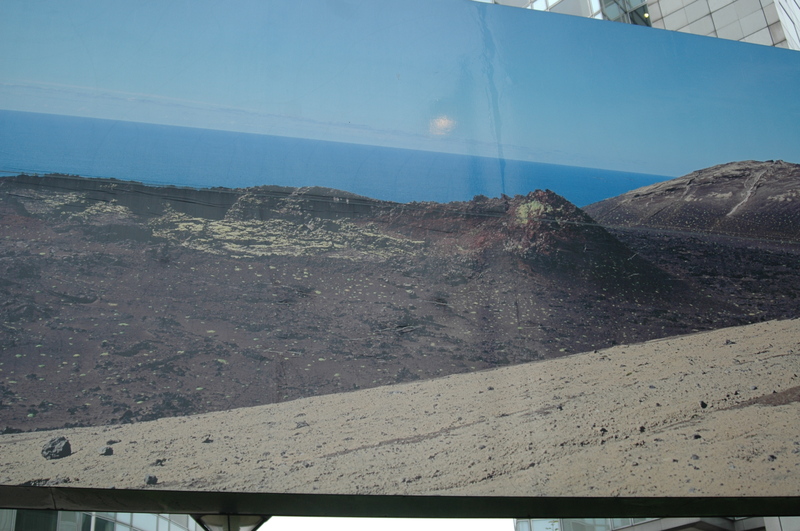 The urban expansion “Zuidas” (South Axis), the same size as the island of Surtsey, which arose from the water, has emerged from the earth in a few years. Our own man-made rock island, separated from our own home-made land, the polder landscape. And everything is going according to plan: the innumerable empty cavities stacked on top of each other, also known as offices, here and there a tree, a few plant containers, and a flower bed to decorate the empty spaces between buildings and streets. What type of life will populate this area? There are no uncertain answers to this question: every morning, this whole area will be occupied by a procession of homo sapiens, and every evening this procession will leave again. Colonization according to plan and rules of use. Planned, and organized, a closed case after completion and key transfer. Project finished. Further development? Maybe densification of the area, adding a few more buildings – but a whole other type of organic colonization? Not planned, it is far beyond our imagination. This is what we created, and it has to stay that way. This is what we grafted our design rules onto, developed a comprehensive system of modern urban development and established our laws concerning ownership and use. Socially agreed. Scientifically based. For science is the basis of our spatial creativity. That is what we agree on. Systematic order at the beginning of all actions. We are modern people. 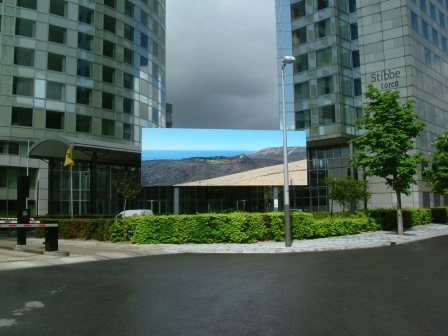 With a modern urban development. This is the beginning of our big mistake, our hybris. Did we really think it would be possible to actually create something that lies outside the reach of the creative dynamics of nature? Our pure cities, which we have so neatly separated from ‘nature’, have long since been conquered by this very nature, against all rules of use. Higher biodiversity density in the cities than in the countryside, the biologists have found out. However, that which we consider the primary form of nature surrounding our cities, our tamed form of nature, agriculture, has in all its advanced productivity started to look more like deserts with a depleted monotonous type of life than the image entering our hearts and minds when in a romantic mood we consider the word ‘nature’. Now that we have succeeded in being the most numerous and the most successful species on earth and have made our mark everywhere, have thrown up our settlements in a hurry, the insight is slowly dawning on us that our system of planning may have ignored the natural laws of life. Our modern urban developments, the separation we created between city and country, between nature and man – a misconception. Life’s urge for expansion in each of its forms cannot be tamed by our laws and rules. Not in its creature form and not in its human form. The consequences of the doubling of the global population, which awaits us in the near future, will not stop at our municipal borders. The actual takeover of our cities by the ‘untamed, wild nature’ is a harbinger thereof. The cities will continue to expand and the agrarian production in the countryside will intensify even further, with all the consequences. Nature? Apart from the protected nature reserves and parks, the countryside is nothing more than a large production machine of animal and vegetable foods. The useless wild animals and plants escape to the cities, which have not drawn up any relevant rules yet to prevent it. Worse still: cities lack the funds to continuously and efficiently fight and expel them. We have to face up to it: our order can no longer be maintained. Finally it dawns upon us: the city is – just like the cultural landscape surrounding it – nothing more than a component of man-made nature. 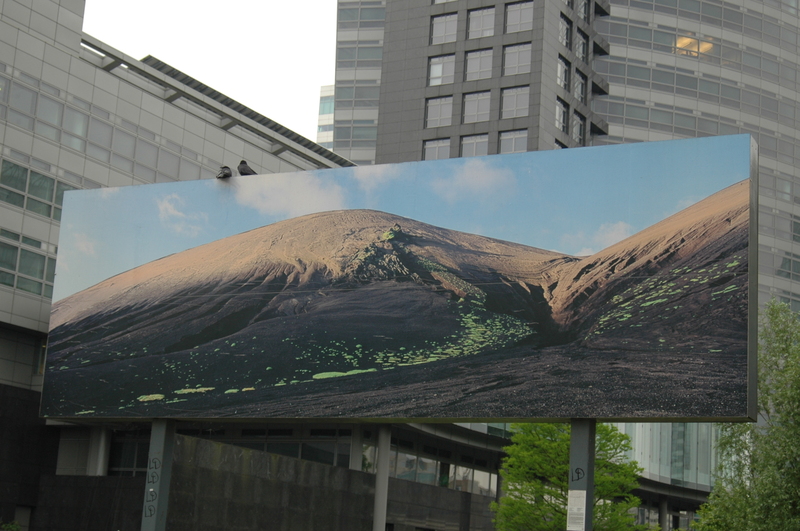 The city, too – is a cultural landscape and not the opposite thereof. It is a cultural landscape that meanwhile holds an even greater multitude of types of mammals, birds, insects and plants than exist outside its borders, in so-called ‘nature’. It has become visible and measurable: the city is in reality only one of the many types that nature knows, such as woods, pastures, dunes, deserts, rocky landscapes, etc. A rocky landscape with scattered greenery, parks, trees, gardens, green roofs, overgrown facades, flower boxes on balconies and in windows. To us, and especially to the architects and urban planners among us, the understanding of this concept means a whole new way of thinking: the city is not a collection of buildings delineated from ‘nature’, in planner jargon ‘red’ against ‘green’; no, the city, the buildings, the ‘red’, should be considered a carrier of ‘green’. This requires a fundamental turn in our perception. In our way of thinking. In our concepts, in our ordering system. Is this just a romantic digression motivated by the dissatisfaction with an island crammed with unresponsive, self-sufficient buildings as there are on Zuidas? 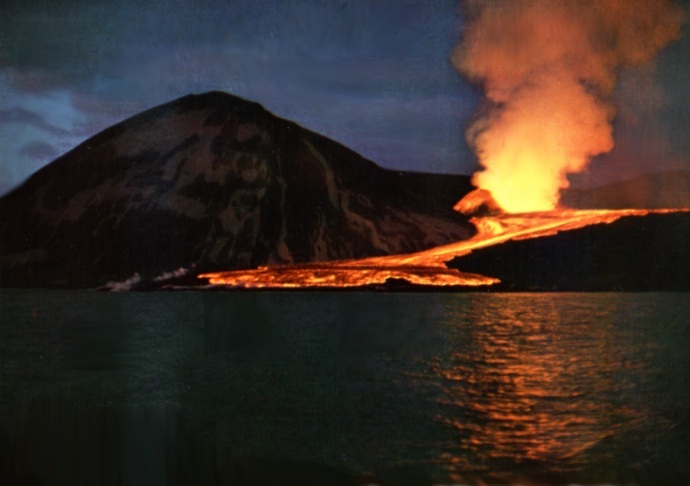 The fact is that just like Surtsey will inevitably be conquered by life, so will and must our constructed islands inevitably be conquered by ‘nature’, by the whole rich palette of organic life. This will be our salvation. Because man needs his fellow creations: the trees and other leaf-bearing plants are needed to breathe – ‘man cannot live without trees, but trees can live without man’ is what it says in short. But trees and other plants need insects and these in turn need birds to curb their urge for expansion and so we can go on and on describing the interdependence. As long as cities were still the exception within a free nature, we could to some extent neglect this connection of all forms of life without major consequences. The exchange took place despite our limited understanding of the course of events. Since our own urge for expansion as a species (which is at most restricted by microbes, bacteria and natural catastrophes) threatens to disrupt the natural regeneration of our living environment, we are harshly confronted with our huge misconception about the meaning of order in urban development. For centuries, we have defended the human existence intra muros against wild, threatening nature. Only now that our victory is virtually complete and that there is barely anything left to defend ourselves against, the other side of the story is becoming more visible: our dependency on nature. That we are only a component thereof and not the ruler. That we should also subject our buildings, our termite hills to the complex order of nature. Build in alliance with nature. This presents a new architecture and new urban development, with new material: plants, with new guest residents, such as birds. With new connectedness with nature: urban agriculture on roofs, along facades, in parks, and in courtyards. Romance? It has long been underway. The Norwegians gave the example of using greenery as construction material when they discovered the insulation value of grass roofs in a cold climate. Since the Romans brought heat-requiring fruit trees to Central Europe, pears and grapes have been cultivated along facades. Recently, when new types of pesticides and the decrease of flowering vegetation have lead to the death of bees in the countryside, we have started placing beehives in the centre of cities – with great success. 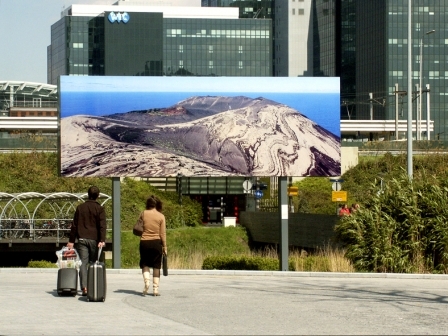 The rocky landscape called ‘city’ is busy changing its appearance. It is beginning to adjust itself to the natural cycle of continuous change: growth and decay in the cycle of the year, growth and proliferation until the natural limits have been reached or until it is forced to stop its fight for space. The city, even the new city, has abandoned the idea that ‘it is finished’. Just as a living organism, it is subject to continuous change. At least this is what one would think. This stage, however, is still a long way off. 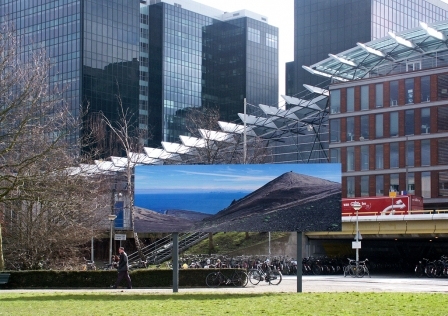 The sterile architecture on Zuidas, with its numerous facades of unresponsive glass, provides us only with images of nature conquering a rock island. Not with opinions. Or would the people looking somewhat desperately at these beautiful photos actually understand what they had to say? Would they discover the analogy of what is touched on here: the analogy between the unrestrained creative force of the concentrated energy within our globe and hard-to-contain capitalism, raising building after building in wild competition? At least, the reference to nature, our common mother Gaia, is sober and highly intellectual: a green colour on a facade, a couple of trees on a stone plaza, a border with ready-grown flowers from the greenhouse. Yet everything has been approved and completed according to the rules. Really? Wherever those rules blocked the way, they have intentionally been bypassed or simply disregarded. Didn’t a part of this area belong to the Main Green Structure of Amsterdam, our green reserves, where absolutely no construction is allowed? The urban planners, these masters of space, legitimize this using a neatly drawn plan and the Municipal Council gives absolution. That is modern urban development. A facade of order behind which the elemental forces of expansionism of the species hide: the strongest, the most financially powerful in our modern translation of natural forces: they determine the state of affairs. They occupy grounds, as intensive and as high as they can. Another opinion after this statement? ‘The shore turns the ship’, says a Dutch proverb. Maybe the expansionism of our species will still end in a reversal. The cities are the largest polluters, the cities contribute excessively to global warming, and the cities release large amounts of C0² emissions into the atmosphere. It is the cities that have to change. This means: changing our built structures, changing our behaviour. Returning to the cycle of nature, ‘under penalty of our downfall’. Some years ago, Jared Diamond, professor at the Massachusetts Institute of Technology (UCLA, Universiteit van Californië – Los Angeles.) in Boston, published a voluminous book (d’accord met toevoegen voetnoot! containing the results of his research on the reason why cultures continue to disappear over the course of history. The reason runs through all these collective dramas like a red thread: these cultures were unable to adjust to altered circumstances. Is it our turn now? The ominous warnings are all around us: raw materials and conventional energy sources are almost depleted, we are efficiently contributing to the climate warming, we are polluting the oceans beyond repair with oil and plastics, ,and we are even polluting our groundwater with waste particles that cannot be filtered away and which we therefore have to ingest again. It is our move now. We seem to have reached the limits of the (of controlling the conditions of creating the conditions ?) makeability of the conditions of our existence based on the codes of conduct and the rules of the game that we have developed. We must change course. Impossible? No, actually it is not. As proven by history, pioneers are on the way, experiments are being conducted, some fail, others achieve success or more than that; they turn out to be true eye-openers to a new urban beauty. A new architecture, a new urban development model is on the rise, trying to outline the multiple paths to re-integration into the cycle of the organic. Green roofs and vertical gardens in numerous cities with often spectacularly beautiful results. 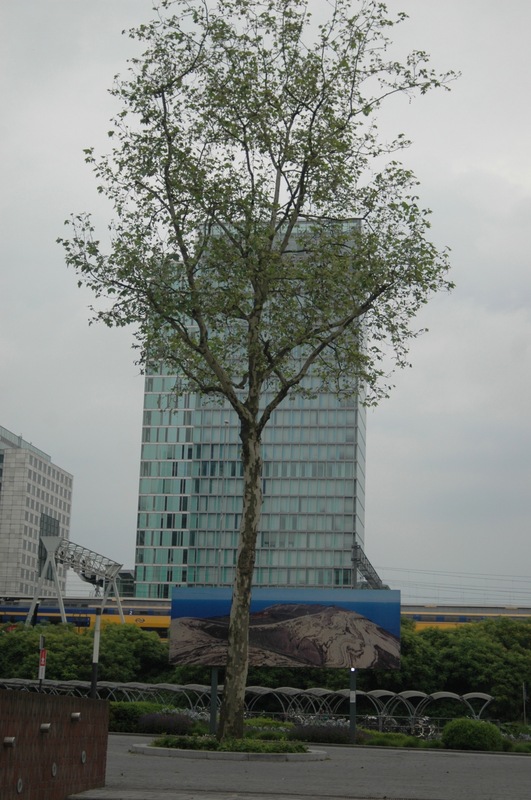 Trees in the smallest places possible among the unresponsive buildings. Municipalities encourage parents and children to lay out tree-disc gardens in their street and in many cities, from New York to Amsterdam, this ‘wild’ gardening takes place right in front of the door: rare plants growing rampantly (vigorously? )between the pavement stones; pocket parks and finger parks maintained by residents; ‘urban agriculture’ on roofs, on balconies, in flower boxes filled with tomato plants, lettuce and herbs. The first restaurants have appeared in the middle of the Toronto and New York City centres, serving meals prepared with herbs and salads grown on their roofs. There are already architects designing buildings covered entirely in vegetation, sometimes even with facilities for the nesting of birds and bats. Vertical gardens have suddenly become a hit: the French biologist Patrick Blanc started a global hype and masses of tourists travel to admire his creations. It is finally acknowledged that the shade of trees, which is cheap and low in energy, can reduce the urban climate with a few degrees and regulate rainwater during downpours, which diminishes the risk of sewer overflow. In Paris, a bicycle plan was developed to encourage the bicycle-wary citizens to use their bicycles more often and reduce car traffic within a few years. More and more cities are working on new rules for planning and building to guide the course of the urban ship in another direction. It is an important time to learn. To experiment. A new challenge for all pioneers of the world. Will our homemade Surtseys in the future measure up to the ‘nature’ of the volcanic creation near Iceland, which is now gradually being conquered by organic life? 1. English translation from Michel de Montaigne, Apology for Raymond Sebond, translated by Roger Ariew and Marjorie Grene (Indianapolis/Cambridge: Hackett Publishing Company, Inc., 2003). Original French version: ‘Sait-on jamais? Le genre humain fait peut-être une sottise du même genre, parce que quelque sens lui fait défaut; et peut-être que de ce fait la majeure partie de l’aspect des choses nous demeure cachée?… Nous avons conçu une vérité par la consultation et la confrontation de nos cinq sens; mais peut-être fallait-il avoir l’accord de huit ou dix sens, et qu’ils collaborent pour la ( la vérité HF) voir vraiment et dans son essence même?’ From: Montaigne, Essais, Livre II, Chapitre XII, Apologie de Raimond de Sebonde.